OUR PRICE: $20.50 - Join Rewards Get $2 Dance Dollars On This Item! All-purpose gym shoe designed for comfort and versatility. Soft, supple and durable leather upper and lining with a V-shaped spandex gore insert. 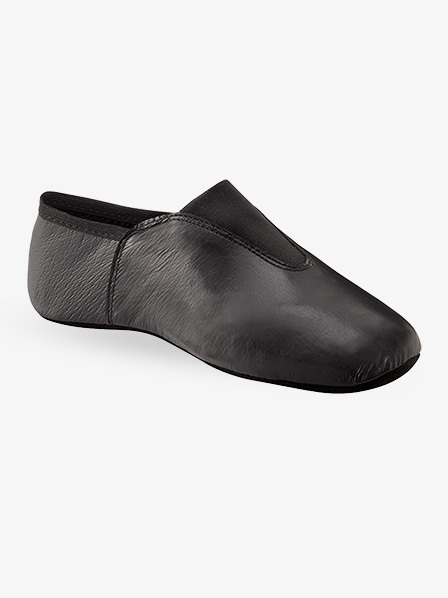 Elasticized heel cup provides a snug yet-comfortable fit. Rubber sole patches match the upper. Polyester socklining cushioned with sponge foam for comfort. Embossed logo. The older version of this shoe held up well, but the newer ones just peel. My daughter can not wear them to compete because they look horrible after two workouts. We will go back to using them when they fix the finish, until then it is a waste of money. While she is jumping on the trampoline, pieces of the shoes finish literally fly off into the air. 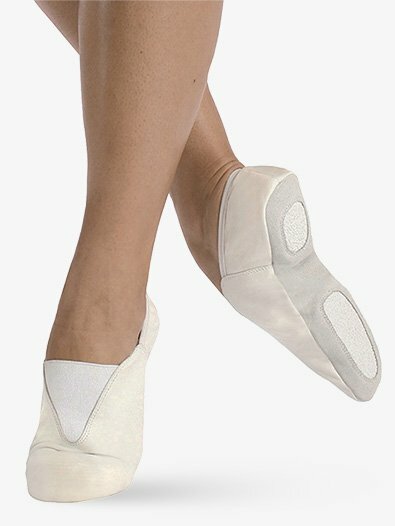 I purchased a pair for myself and a pair for an employee...we teach gymnastics and use the shoes only in the studio. The shoe is very comfortable, but the white "coating" began to peel of in a couple of weeks. Both of the purchased pairs had this problem. So, I cannot recommend this shoe.